The tables were an important factor in the Victorian furniture. The furniture in the Victorian period was inspired by Gothic, Tudor, Neoclassical designs, etc. The tables that were part of the furniture were basically made from Mahogany, rosewood and oak. In the Victorian era, like today, the table served many purposes. In any Victorian house, tables could be seen in all the inhabited rooms of the house. In the living room, the tables were placed along with shelves and were joined to a marble or wood top. These tables and shelves were used to keep books, crockery or other things. Small tables were also used for keeping plants or arranging books and would normally be covered in fabric. The small tables were also useful for serving food to the guests. 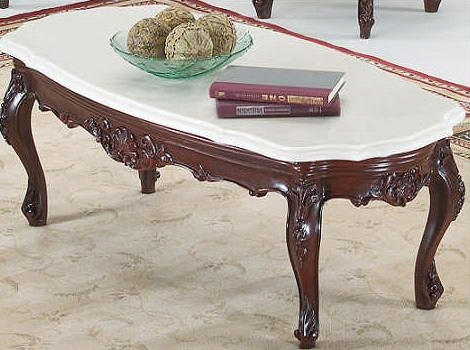 With the serving table, a Victorian house would also have a coffee table. As the name suggests, this table was basically used to serve coffee. Another use of tables in the Victorian era was the dining table. The dining tables of this period were designed with a high degree of decoration. The dining table was a large table with a side table or a serving table. In a Connecticut dining room, there are six chairs have carvings of flower or fruit, but of these six chairs, only two are identical. Tables were also used for keeping lamps. These table lamps with curved lines were handcrafted by the craftsmen and they show the lavish lifestyle of the Victorian era. Most of the table lamps were durable in nature. The table lamps would be in different colors and they often captivated the minds of the guests. The base of the table lamps was usually made of solid brass. The tables were also useful in the bedrooms. A Victorian bedroom would basically consist of the headboard, a commode, a dressing table, a chest, side table or bedside table or rocking chair. The furniture was usually made from maple or other native hardwoods. Also, there were bedroom night tables where traditional lamps, crystal or brass pottery or candlesticks would be kept. Thus, the Victorian table was used in every room of the house.